Start hoarding those credits, Overwatch players. Blizzard will apparently launch a wintry, holiday-themed event for the competitive hero shooter next week, based on a tweet from the official Overwatch Twitter account. Admittedly, there’s not much to go on. Blizzard merely tweeted out a brief video of a holiday card today with an invitation to a snowy version of Overwatch’s King’s Row map. The upcoming holiday promotion will be Overwatch’s third limited-time special event, after Blizzard’s Olympics-themed Summer Games and Halloween Terror events. Those two events featured a limited-time game mode in addition to a long list of new cosmetic items (costumes, emotes, sprays, voice lines and more). 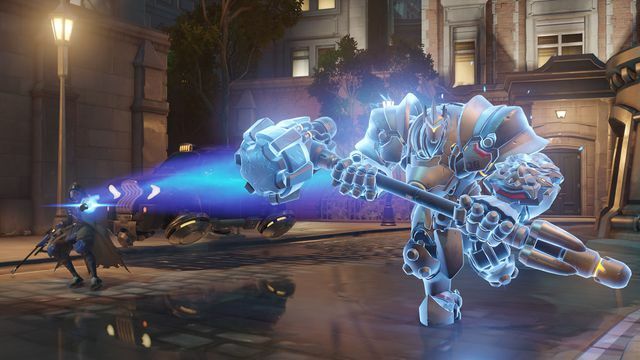 Overwatch’s third competitive season kicked off earlier this month. Blizzard also plans to roll out a new map, Oasis, as well as major gameplay changes to support character Symmetra in an upcoming patch.